Photo box Bear with Heart with music sp./lacq. This cube has a loose lid featuring a bear with a heart. The cube has place on its sides for 4 photographs of 6.5x6.5 cm. The cube rotates on the melody of Twinkle Twinkle Little Star. The photo box/music box is silver plated and lacquered so no polishing is required. Money box in the shape of a star with crown. 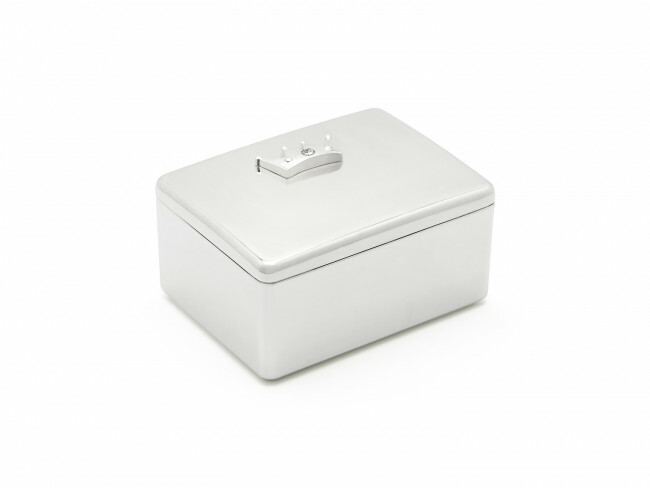 The money box is silver-plated and lacquered and requires no polishing. The money box can be engraved, making it ideal as a personal (birth) gift. 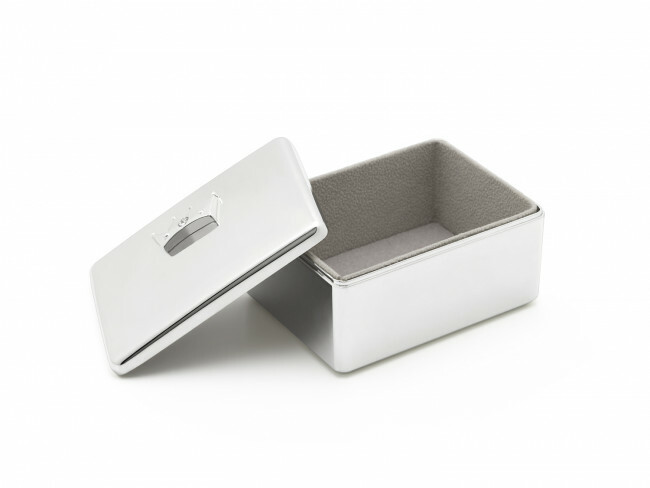 Keep what is precious to you in this beautiful What-Not-Box with crown. The box has a light grey velvet lining.